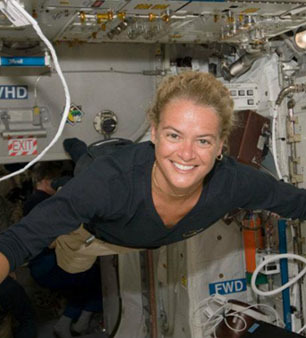 Julie Payette, who was sworn in as Governor General and Commander-in-Chief of Canada on the banks of the Ottawa River, Monday, October 2, 2017, back when she was just an astronaut floating in space. There seems at least some significant agreement within the Canadian federal punditocracy (which I admire a great deal) that our new former-astronaut Governor General Julie Payette badly blotted her copy book, when she gave spirited opening remarks at the recent 9th annual Canadian Science Policy Conference in Ottawa. I nonetheless feel driven to confess that I am one of the (I believe) growing numbers of Canadians who are not offended by anything Her Excellency said to the country’s top scientists. But I wouldn’t (and couldn’t) myself be an astronaut either. And it’s reassuring at last to hear someone in Canadian public life stand up for one of the various growing minority groups I count myself among — the 23.9% of all Canadians who reported “No religious affiliation” in the 2011 census. 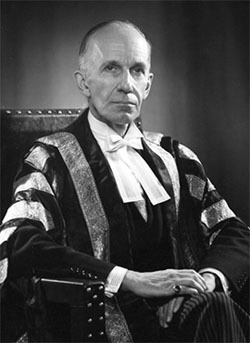 Vincent Massey — scion of the Massey-Harris Canadian agricultural machinery fortune, brother of Hollywood actor Raymond Massey famous for playing Abraham Lincoln, and “the first Governor General of Canada who was not a British aristocrat, and the last who looked like he was,” 1952–59. Appointed by Liberal PM Louis St. Laurent. (And thanks for the quoted passage to the late great Larry Zolf, 1934–2011). Was Governor General Payette being polite in company in her remarks to the scientists, the way many among we anglophone and francophone Canadians of my aging generation were raised to be? Of course not. But more than a few especially younger Canadians today almost certainly find that refreshing — just as they find the Liberal prime minister Justin Trudeau who appointed Julie Payette “Governor General and Commander-in-Chief of Canada” in the first place. It can similarly seem from a distance (outside the Ottawa bubble) that the Conservatives have had a generous seven years of the suitably circumspect and boring David Johnston (2010–2017), appointed both times by Conservative prime minister Stephen Harper. And the quasi-official mind of Ottawa now seems to believe that serious talent for circumspect boredom is a constitutional requirement of the job. 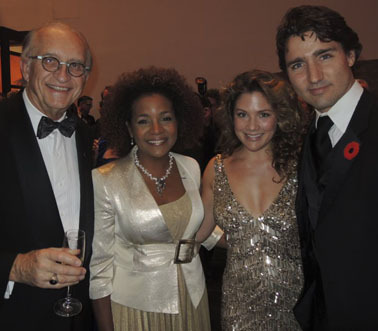 Doesn’t anyone remember how Liberal prime minister Jean Chretien started the post-modern tradition of the governor general when he appointed Adrienne Clarkson to the English Canada rotation (1999–2005), followed by Liberal prime minister Paul Martin Jr.’s equally innovative selection of Michaëlle Jean (2005–2010) for the French Canada rotation? And didn’t Governor General Jean say that she was the real Canadian head of state — only to be sternly lectured otherwise by the Conservative Prime Minister Stephen Harper? There does seem some current consensus in Ottawa and perhaps some provincial capitals on at the very least going very slow on the future of the British monarchy in Canada. And if such former British dominions as Ireland and India are any example, the kind of real head of state Michaëlle Jean at least briefly claimed to be is at least the beginning of the ceremonial office of the president of the Canadian republic. If our new Governor General Payette actually has some similar instincts — and if that’s what the Ottawa punditocracy’s real (and understandable) concern is — I would personally applaud her. But I don’t think myself that this is what the new governor general is up to. And I know from many personal conversations and minor if compelling public events over the past decade and a half that we Canadians generally are not yet quite ready to abandon forever the very last ties to our colonial past. 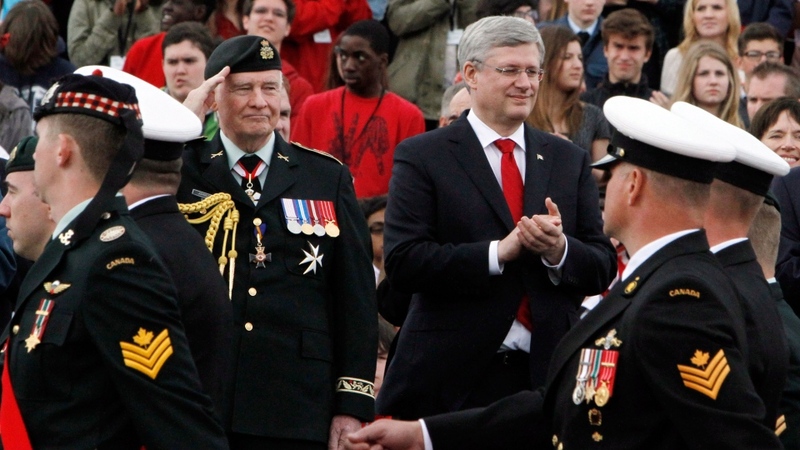 2 Conservatives : David Johnston and Stephen Harper, May 2014. (Fred Chartrand / THE CANADIAN PRESS). Even so, the essential constitutional role of the ceremonial head of state is the same, in either the parliamentary democratic “monarchy” we have now and/or the parliamentary democratic “republic” our Canadian democracy is, I think, inevitably destined to quietly evolve into at some point soon enough in the 21st century. The presidents of Ireland and India, to take just two relevant cases in point, play the same practical constitutional role in their countries as the governor general plays in Canada today. More importantly for the moment, it does not at all seem to me that offering the spirted opening remarks Governor General Julie Payette gave at the 9th annual Canadian Science Policy Conference in any way disqualifies her for her potentially serious job in government. 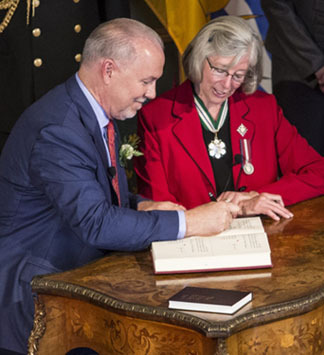 John Horgan is sworn in as Premier of British Columbia by Lieutenant Governor Judith Guichon at Government House in Victoria, B.C. July 18, 2017. Photograph by Darren Stone, Times Colonist. Put another way, the idea that the governor general is somehow “above politics” — that the “integrity of the role falls apart if the governor general is perceived to be of one camp or another” — is just too much of a polite political fiction to be credible where the rubber hits the road. How can someone who is appointed by the country’s most powerful politician be above politics? Really? In any real world that we mere voters can be expected to reasonably discern and respect? On CBC TV recently John Ibbitson gave a tidy example of just what kind of deadly serious and important business the ceremonial head-of-state in a parliamentary democracy can sometimes become part of, by pointing to Lieutenant Governor Judith Guichon’s recent tidy interventionist role in the wake of a puzzling BC provincial election. Provincial lieutenant governors, however, are at least appointed by the federal prime minister who is remote from provincial politics — not by provincial premiers. Judith Guichon, a past president of the British Columbia Cattlemen’s Association, was appointed by the Conservative Stephen Harper. And, happily enough, there were no Conservatives involved (only Liberals, New Democrats, and Greens) in the recent post-election conundrum that finally led to the present NDP-Green (sort of?) provincial government in Victoria. The case of the governor general in Ottawa, who is directly appointed by the federal prime minister he or she may ultimately be called upon to supervise, in the case of contentious elections with ambiguous results, is quite different. 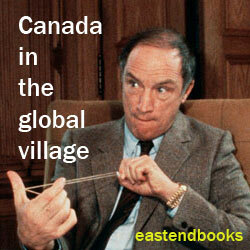 And our current Canadian arrangements lack credibility in a fundamental way. 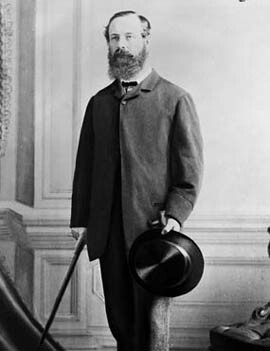 Charles Stanley Monck, 4th Viscount Monck : first Governor General of the Dominion of Canada, 1867–1868 ; Governor General of British North America, 1861–1867 ; liberal MP in UK House of Commons, 1852–58 ; Lord of the Treasury in Palmerston’s UK cabinet, 1855–58. Lord Monck established Rideau Hall as the governor general’s official residence in Canada, and got on particularly well with John A. Macdonald. But by 1868 he was very keen to return to managing his somewhat neglected ancestral lands in Ireland. No one planned this, it should be stressed. It is just how the office of governor general — originally filled in 1867 and for some time after by British aristocrats finally appointed by the government of the United Kingdom across the sea — has more or less haphazardly evolved. Similarly, former Prime Minister Stephen Harper tried to pretend to address the all too obvious credibility problem here by arranging a somewhat complex process for advising the prime minister on both governor general and lieutenant governor appointments. Meanwhile, should the need arise a governor general who says what Governor General Payette recently said to Canada’s top scientists can certainly play the kind of role Lieutenant Governor Guichon recently played in BC, with just as much credibility as any other governor general appointed by a Canadian prime minister. 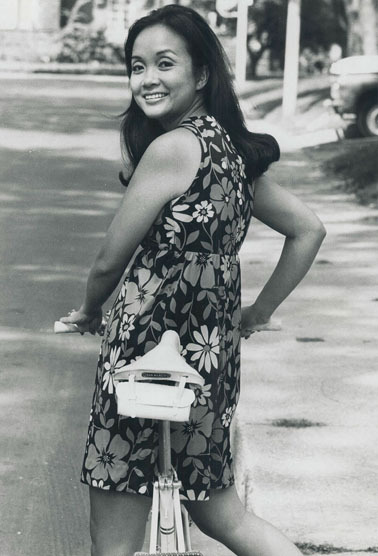 Adrienne Clarkson in 1971 — 28 years before she was appointed Governor General and Commander-in-Chief of Canada by Jean Chretien. I can recall a conversation a few years ago with a sober-minded and skillful government lawyer. He confessed to voting Conservative once or twice in his life. 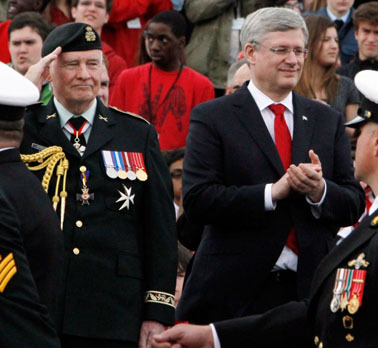 But he did not trust the circumspectly boring Right Honourable David Johnston to do anything other than support the guy who brung him to the dance, Stephen Harper, if the 2015 Canadian federal election had resulted in the kind of “hung parliament” delivered by this year’s provincial election in BC. Here as elsewhere at the moment, the plainest truth is that beauty is in the eye of the beholder. And personally I think Julie Payette’s recent remarks to the convening scientists in Ottawa actually show that, if and when she must use her ultimate “de facto head of state” powers, her scientifically disciplined mind will rise to the politically non-partisan occasion quite well. Randall White is a former Ontario public servant and now for the most part also a former independent public policy consultant based in Toronto. 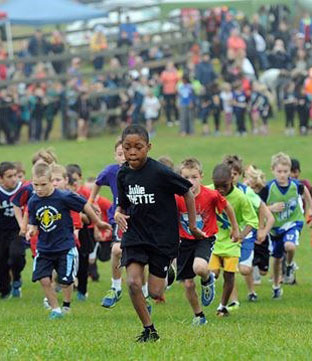 Josiah Green from Julie Payette Public School in Whitby, Ontario led the 8-year-old boys up the hill at the start of their race during the Durham Elementary Athletic Association cross country finals, October 15, 2014. Photo : Ryan Pfeiffer / Metroland. He has a PhD in political science from the University of Toronto and is the author of a number of books on Canadian history and politics, including Ontario 1610–1985 ; Voice of Region : The Long Journey to Senate Reform in Canada ; Too Good to be True : Toronto in the 1920s ; and Ontario Since 1985. He is nowadays as well a supporter of Republic Now / République du Canada, and the author of the work-in-progress currently serialized on this website under “The Long Journey to a Canadian Republic” on the bar at the top of the homepage.